What’s New at the Zoo? 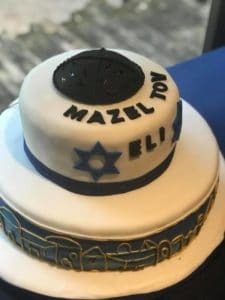 Eli’s Bar Mitzvah!! I love working with young people. Helping to prepare them for their Bar Mitzvah or Bat Mitzvah service is one of my greatest joys. The opportunity to share what I know and teach not only the history of our religion, but also how this history affects them and their families, is special. Every once in a while I work with someone whose story is so unique that even I am surprised. Eli and I posing by the cutout of him as a young child — so much fun! With that as a backdrop, meet Eli. Eli’s family history is incredibly interesting. First, his father Alex is Jewish and from Russia – but he never became a Bar Mitzvah. Alex’s father, Eli’s grandfather, also never became a Bar Mitzvah. Seems strange, right? Well, consider this: Eli’s great grandfather grew up in Russia; he had to worship secretly. Because of this, their religion was not openly shared, simply quietly respected. Eli’s mother is Pam, and she is not Jewish. In fact, before she met Alex she had never even met a Jewish person. Pam, however, was completely supportive of Eli becoming a Bar Mitzvah. She respected her husband’s heritage and recognized the significance of this day for their entire family; Eli would be the first person in three generations to become a Bar Mitzvah. As a Cantor serving the Interfaith and unaffiliated Jewish community in South Florida, I have officiated countless Bar Mitzvah and Bat Mitzvah ceremonies uniting and including people of all faiths. That said, I do not ever remember developing a ceremony quite like this. Nobody in Eli’s “congregation” at the Bar Mitzvah knew any Hebrew; not even the most common of prayers. It was something I had never experienced. Even when working with interfaith families there are usually a few people familiar with the service in attendance. While familiarity with the ceremony may not have been present; something so much more important was: a level of interest, respect and love that was so strong it was almost tangible. Eli’s family, who were unfamiliar with this process, were so supportive. And so the service began…. It was in English, almost all in English, and different than any other service, Eli and I together shared the story of his journey and what becoming a Bar Mitzvah entailed and meant. It was a celebration of all that Eli had learned and a life lesson to those who were there to share this special day. I could have incorporated more Hebrew and held a more traditional service; but really, to what end? The opportunity to share our heritage in a manner that everyone could understand and appreciate was an important one to seize. A traditional service incorporating a significant amount of Hebrew was expected; but would it be appropriate? Would it be valuable? Wasn’t it more important for Eli to be able to share all he learned, his religion and traditions, in a manner that could be understood and appreciated by those closest to him? It was, and he did. While the Bar Mitzvah service may have been unique; the celebration was even more so. Uncommon, incredibly special and so much fun! 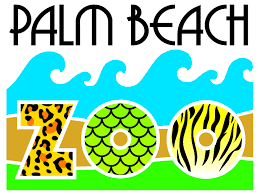 The entire Bar Mitzvah (service and celebration) was held at, now get this, The Palm Beach Zoo, in West Palm Beach, Florida. (http://www.palmbeachzoo.org/index.cfm?fuseaction=events.main). 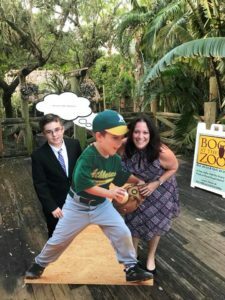 Fifty family members and friends gathered in a private room for the service; and once it was complete there was the most creative celebration: a zoo scavenger hunt. In groups, guests traveled through the zoo and collected/identified everything on their scavenger hunt list. How much fun is that? Once they completed this challenging and fun task, everyone gathered for a lovely luncheon; featuring the most beautiful Bar Mitzvah cake I have ever seen. (check out the picture). Pam has a friend, a very talented pastry artist (as a hobby), and she agreed to create Eli’s cake. It was a masterpiece complete with a replica of his talis and kippah. It was so personal, so beautiful, and obviously made with love. Every chance I have to work with a young person and ultimately officiate at their Bar or Bat Mitzvah is a lesson for me. I always learn something new. This time, I learned that a service that to an outsider may have seemed “less Jewish” was actually more. After all, there is no greater mitzvah than sharing and teaching your beliefs with others in a manner that is comfortable easy to understand. Eli learned so much throughout our time together, but truly I think he (and I) learned the most that morning. It was a day I will always remember and an experience I will treasure for a lifetime. I am so grateful to have this family in my life. This experience had a profound effect on me and I know it will influence my work in the future. Want to create your own Bar Mitzvah “dream come true”? Contact Cantor Debbi today to see how you can co-create the event of your dreams. 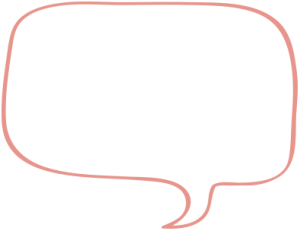 I would love to learn about your family and share how I can work with you. Jerry and Audrey’s Jewish-Interfaith Wedding Ceremony in Pompano Beach, FL – Making It a Family Affair! This past Saturday, I had the pleasure of marrying Jerry and Audrey, in a simple, private, and meaningful Jewish-Interfaith wedding ceremony at Winters Park, in Pompano Beach, Florida. From the moment Jerry emailed me, several months ago, I knew this was a couple I was really going to enjoy getting to know better. In the first email he wrote me, from the way he spoke about Audrey, I just knew this was a man who adored the woman he was about to marry, and he was such a mensch! It took us some time to carve out an opportunity for an in person meeting, but we finally arranged to meet one Saturday at a bagel shop in Coral Springs. Of course, I was right about Jerry. Total mensch. The kind of man we all want to come home to. He obviously did adore Audrey, and I knew why. She was as adorable as he was, and they were clearly in love with each other. We sat for a couple hours at the bagel place, and they told me some incredible stories about how they were destined to be together. We even realized we knew some of the same people, and that even WE had a great connection, but..it got even better as time went on. They told me that some of the stories that many might consider as “coincidences” were what they called “Godwinks” and I couldn’t agree more. They actually had read a book titled Godwinks, and they felt that so many of the stories they shared were clear examples of the stories they were reading. We met again at another breakfast spot in Sunrise, and I felt so close to them, that I actually shared one of my own secret stories with them, because I knew they would really appreciate it, and they did. We knew we had a special connection going on between us, and I was so happy they came into my life. When it came time to plan the Jewish-Interfaith wedding ceremony, they were pretty adamant about one thing – including their older children in their vows. Jerry was a widow, and before Audrey came into his life, he was pretty lonely, as his boys were grown, and he missed having someone to share his life with. Audrey was divorced, professional, self sufficient, and a strong, capable woman, raising 2 children, but she was lonely in that area as well. When they met online (Audrey emailed him, and told him that she liked his attitude!) they just knew immediately that this was the one. Since then, they have been inseperable, and I know why. They truly were meant to be together. In writing the vows, Jerry and Audrey not only made a commitment to each other, but to be great parents to each other’s children, and committing to make a new family by bringing theirs together. But there was something else that was really special about this Interfaith wedding, too. Even Jerry’s Father in Law, and Sister in Law, from his previous marriage were there attending the wedding, for he had worked hard over the years to maintain a relationship with them, after his wife passed away. I really respected that. It was important to note, in their wedding ceremony, that they had finally come together at just the right time, and it was the paths that each of them had taken that brought them to each other, so I wanted their past to be noted, and respected. They made the Jewish-Interfaith wedding ceremony personal for their children as well, as they were the 4 chuppah holders – and that chuppah was something else! It was really a family affair, and I was so hoping it would be perfect for them. According to Jerry & Audrey – it was, and I couldn’t be happier. Once again, I have another couple I hope I stay very close with, as I really want to follow their Godwinks, for a very long time. Jerry & Audrey – I consider myself so fortunate to have had you for clients, and I wish you and your family the most amazing and beautiful lives together. WINK! PS: And don’t forget to stop by our sample ceremonies page to see what your ceremony might look like! Russia revisited – this time in Aruba! This has most certainly been a whirlwind 2 weeks! I just returned from Aruba, and WOW – was it an amazing trip, for so many reasons! First of all – I simply cannot believe that I forgot my camera, so before I even start writing – I want to say THANKS to Vlad for copying his pictures to my computer last night so I didn’t have to come home empty handed. So – let me start with some background. I did the wedding for Felix and Evelina at the Riu Palace, Aruba. Evelina contacted me several months ago, because she had heard that I had done the wedding for Dan and Rita in Mexico, and she is very good friends with Rita’s sister, Yelena. 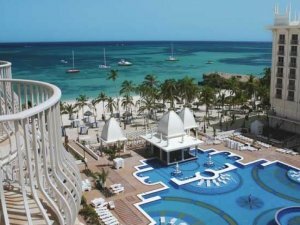 Oddly enough, while Dan and Rita had their wedding at the Riu in Mexico, Felix and Evelina chose the Riu in Aruba. And it was a great choice! They are the cutest, sweetest couple, with SUPER fun friends, and beautiful family. The family dynamics were a bit different than Mexico (and I suppose I should stop comparing at all) but, there were so many similarities as well. We connected instantly, and it was a really great chance for me to start getting to know Felix as a person as well. I had more opportunities to talk to Evelina, so it was bonding time for Felix and me! And I really enjoyed that opportunity to get to know him better. We were very happy because they had an island DJ, but, the DJ didn’t have the traditional Jewish music medley that we typically play, and with some hunting, I was able to get them a copy of the tunes. We quickly sent the music to the DJ, and went on with the night. We all met in the Don Nicolas restaurant for dinner (27 of us) and I got to meet all the family and guests. Later that night, I had been in the lobby checking email, and on my way through the lobby bar to the elevator to my room – I bumped into F&E, and their good friends Vlad & Tanya, Shilana, and Max & Anna. They were having some festive cocktails – and they invited me to join them. We had so much fun, and I felt like we really had a great time connecting together! Saturday was a beautiful day and we all enjoyed the magnificent pool and beach before getting ready for the wedding. We signed the ketubah in the small gazebo, and then the processional followed out to the chuppah on the beach. It was breathtaking. The best part??? They found a steel drum player that learned the melody to Sunrise Sunset, the traditional song from Fiddler on the Roof. He played the song while we walked down to the chuppa. By the time we were all gathered, there were probably a hundred people gathered outside to watch the wedding, and they stayed and listened to the whole thing! We almost had a small problem, though, during the ceremony. It was HOT – I mean H-O-T, and Evelina was getting a little light headed. I thought she wasn’t going to be able to make it – but thankfully, an amazing cool breeze came along, and saved the day. I sang the Priestly blessing, recited the 7 blessings, and overall, it was a beautiful ceremony. What made it even more beautiful was that the sun was setting just as the ceremony was over. We enjoyed a champagne toast on the beach – and then it was on to the pool deck, for a private reception. The rest of the weekend was fun and relaxing. By the time today rolled around, I felt like I had made amazing new friends, and was sooo sad to leave them. Both Evelina’s and Felix’s parents were so lovely, welcoming, friendly, and incredibly kind to me. They both made it a special point to let me know how happy they were that I was there, and I felt great about our connections. F&E’s friends – well, what can I say? I had some VERYYYYYYY interesting conversations with them all, (Russian summer camp was quite a different experience) and I was so impressed at how classy, bright, and beautiful (inside and out) they all were. Vlad, Tanya, Shilana, Max & Anna – you all made my weekend such a beautiful memory! I hope you all keep in close touch, and let me know when those next 2 proposals happen! I’m going to be looking for them. But, the most beautiful part of all, was Felix and Evelina, themselves. This morning, as we took our last dip in the water, Felix asked me if I had a good time. “Of course!”, I said. “I had a simply amazing time”. But I knew at that moment, that he was really concerned about my happiness, and he told me that it really mattered to him that I enjoyed myself. And I thought – how amazing is that? He was worried about ME having fun? They opened their hearts to me, generously included me for 3 full nights, and Felix was worried that I was having fun? Yes, Felix. I had an amazing time. And yes, definitely one of the best! And once again, my life is richer for having you and Evelina in my heart, and for having shared your most incredible memories with me. Thank you from the bottom of my heart! Please send my love to your families, and know that our special memories will live long in my heart. I am so blessed to have known you all.